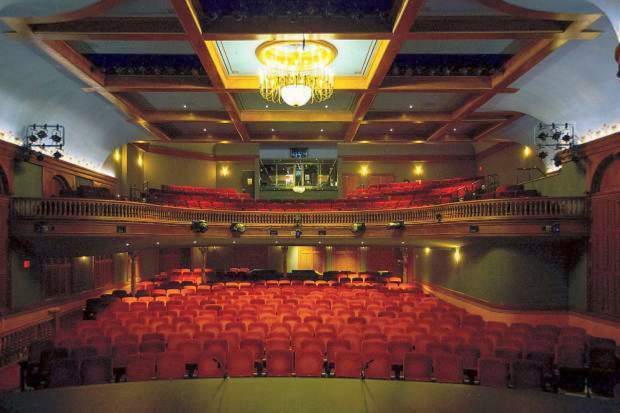 Shows coming through the Wheeler Opera House will be booked by an out-of-state group, giving the Wheeler staff more time to focus on other efforts but continue to collaborate with Belly Up Aspen on getting the best shows in town between the venues. The Aspen City Council approved a one-year, $100,000 contract for Professional Facilities Management Inc. to book shows and work with Wheeler executive director Gena Buhler on which acts will be popular in the mountain town. The only other bid the city received was from Belly Up owner Michael Goldberg, who was at Monday’s meeting. Buhler said the Wheeler committee decided on Professional Facilities Management, which is based out of Rhode Island and works in 13 markets including Vail, because it could book and deliver a variety of events, not just music. Belly Up works primarily with musicians and high-end comedians. Buhler and Goldberg said they continue to have a solid relationship and will moving forward. Mayor Steve Skadron called Belly Up “one of the great private-sector assets” in the community. Goldberg, who has been doing shows for 13 years in Aspen, has worked with Professional Facilities Management in the past and said there is a way to work within this agreement without being competitive. “I have faith in Gena, predominately, in terms of honoring what we have informally come to understand the Wheeler’s place and my place (is) and how we can operate without me complaining it’s taxpayers’ dollars and there’s a different form of risk,” Goldberg told the council. Buhler said she and Goldberg are in “constant conversation … so we’re not putting shows up against each other and we’re working together for the benefit of the community,” Buhler said. “The goal is this is taking more work off my plate, this is allowing more due diligence and that we have the opportunity to find more acts than typically one person in our office can do,” Buhler said. Goldberg said the idea is to be booking more shows in Aspen between them, not fewer. “I think it can work to the benefit of the whole community,” Goldberg said. Norbert Mongeon, vice president of Professional Facilities Management, said the 18-year relationship his company has had with Vilar Performing Arts Theatre in Beaver Creek can help to get more shows to Aspen. The contract passed on a 4-1 vote, with Councilman Bert Myrin voting against.